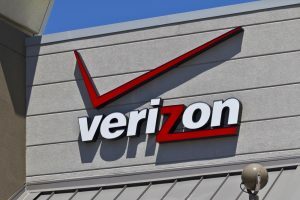 Verizon Communications Inc. (NYSE:VZ) is the winner of the auction for wireless spectrum holder Straight Path Communications Inc. (NYSE:STRP) with a $3.1 billion bid. The $184 per share all-stock offer represents a discount of 17.8 percent on Straight Path’s closing share price on Wednesday. The deal is expected to close within nine months, pending review by the U.S. Federal Communication Commission. Verizon’s bid was roughly double rival AT&T’s initial offer of $95.63 per share. In April, AT&T said it would buy Straight Path for $1.25 billion in an all stock deal. As part of its winning bid, Verizon will pay a termination fee of $38 million to AT&T on Straight Path’s behalf. Some investors hoped for a bidding war between the two largest U.S. wireless carriers. News of the deal dashed those expectations. Shares of Straight Path dropped 20 percent in midday trading after the news, falling to $178 per share. Verizon bought the company in an attempt to gain an advantage in the race toward a 5G network. AT&T and Verizon both hope to launch 5G broadband services in the near future to better compete with high-speed Internet offerings from cable companies. Fifth-generation wireless services are expected to roll out to consumers for the first time in 2020. Straight Path is one of the largest holders of millimeter wave spectrum. Millimeter wave spectrum is expected to play a large role in the development of 5G. Straight Path’s spectrum is located in the 39 gigahertz frequency band and blankets much of the nation. Debevoise & Plimpton LLP served as counsel to Verizon on the deal. Evercore was financial adviser to Straight Path and Weil, and Gotshal & Manges served as company counsel. Hans Vestberg, president of global network and technology at Verizon, said in a statement, “Verizon now has all of the pieces in place to quickly accelerate the deployment of 5G.” The move to 5G would enable speedy downloads of ultra high-definition movies and remote maintenance of machinery in the field. It would also provide the backbone for revolutions in other industries, such as self-driving cars and remote medicine. The acquisition of FiberTower Corp. earlier this year gave AT&T access to a small amount of spectrum for 5G tests in New York, Chicago, Dallas and Seattle, as well as a few other markets. The regulatory agency earlier terminated 650 FiberTower spectrum licenses after determining the company hadn’t met requirements to use the airwaves. AT&T wants the FCC to restore the licenses so the company can use them, but rivals want the FCC to auction the spectrum to the highest bidder. The FCC will auction other swaths of 5G airwaves over the next several years. Much of the high-frequency spectrum bands aren’t being used right now, so they’ll quickly be able to be put to work by auction winners.